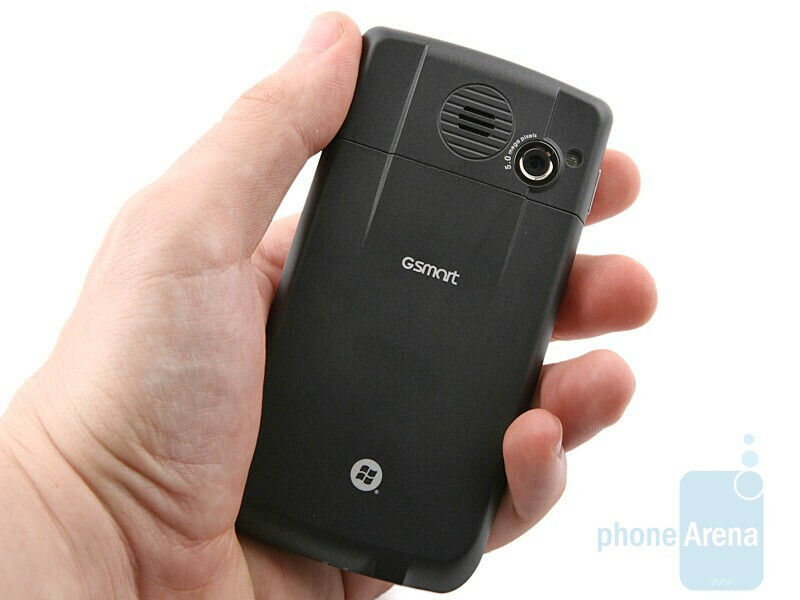 The GIGA-BYTE GSmart MS820 is a Windows Mobile-powered smartphone that we first saw at MWC 2009. 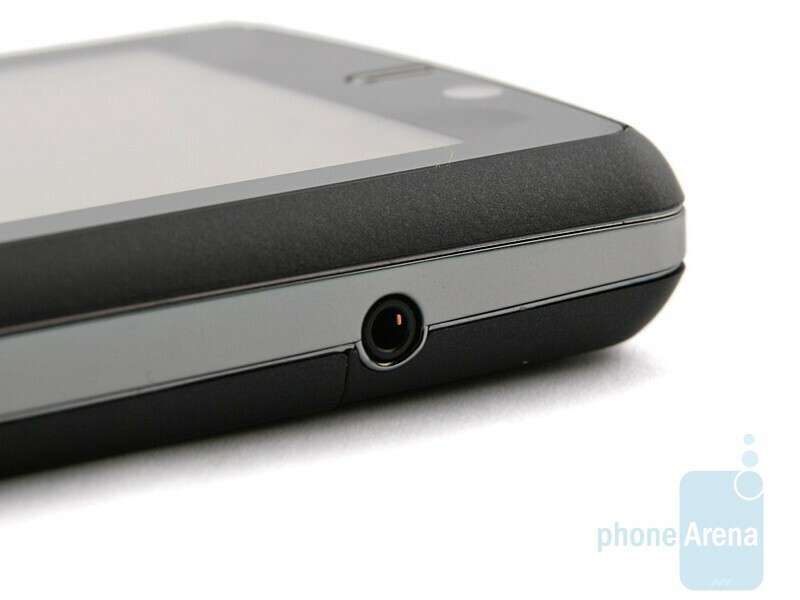 The first thing you notice is how bulky and rough it looks, although size is almost never an issue to business customers, who typically tend to be after dependable, reliably performing phone rather than something with an appealing overall appearance. 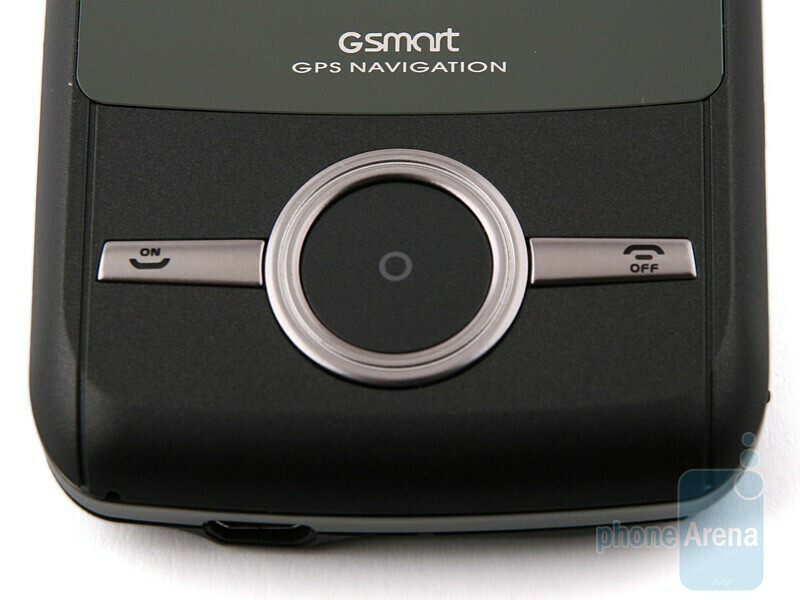 We are about to see whether or not the GSmart MS820 fits into the business category. Still, let’s get over its design and look first. 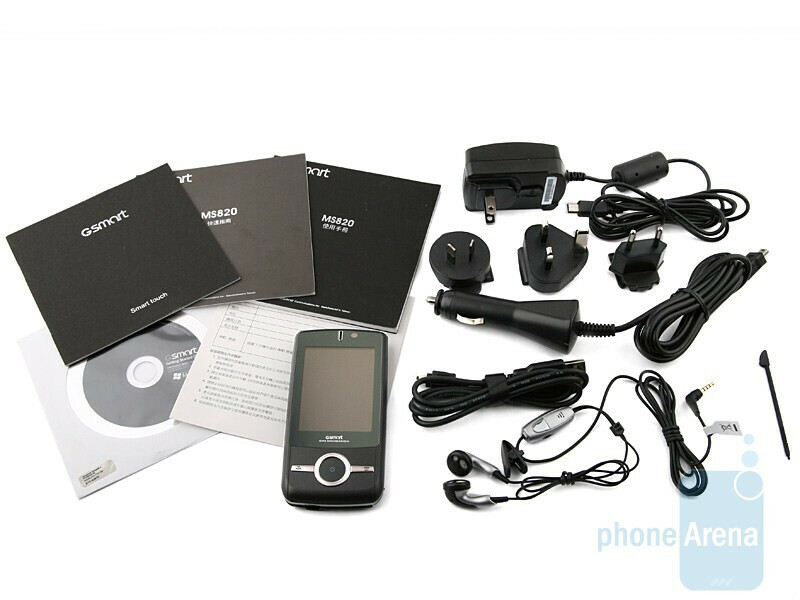 The overall look of the GIGA-BYTE GSmart MS820 is completely in character of previous devices by the manufacturer, all too known for their buttoned-down, simplified design in neutral colors. 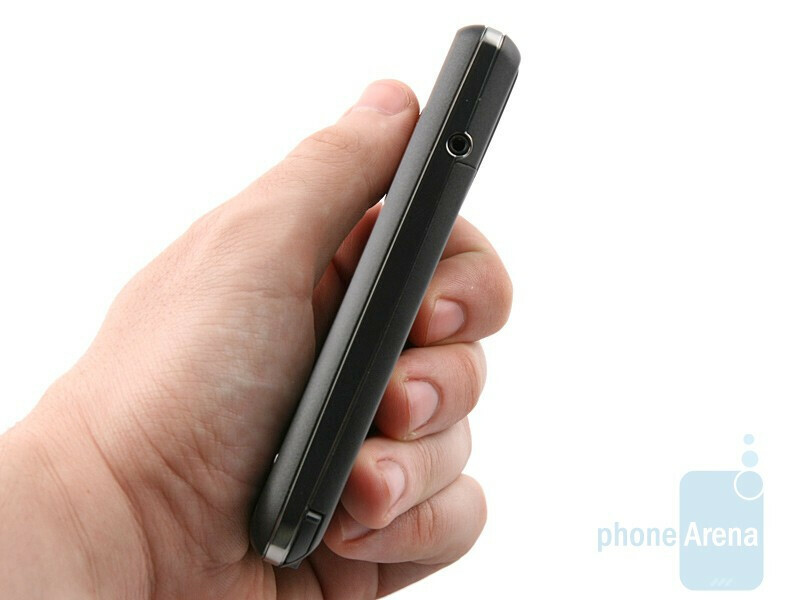 The phone is on the bulky side and you would need both your hands to make operate it properly. That is definitely not unpleasant though, since its matte cover feels nice to touch, allows you to keep a firm grip and prevents the phone from slipping out of your hand. 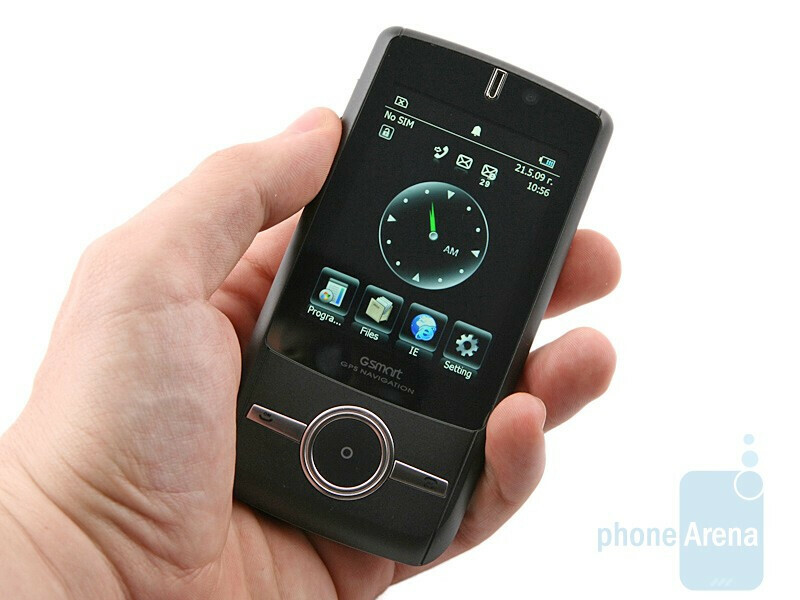 The device sports a 2.8-inch display with a resolution of 480x640 pixels and 65k colors. You will be able to relish a really nice and vivid image quality that unfortunately vanishes into thin air the minute you take the phone outdoors and into direct sunlight. 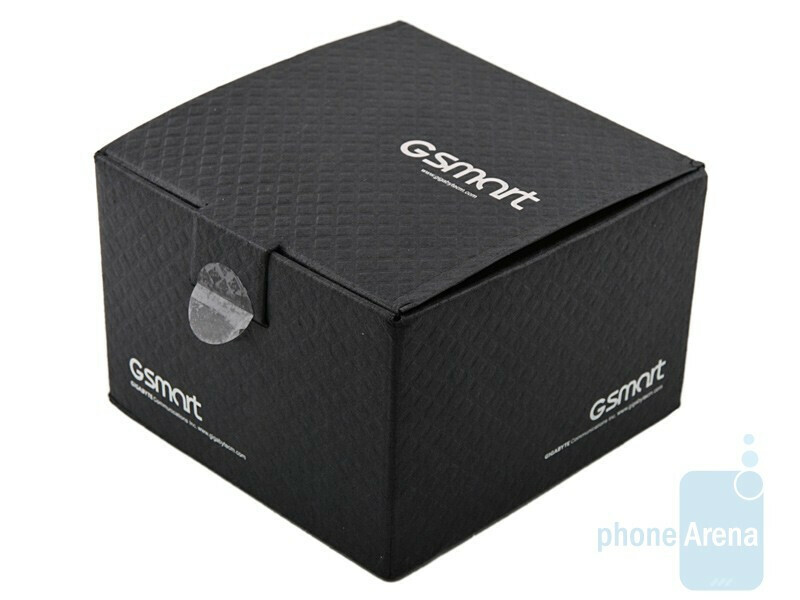 You can compare the GIGA-BYTE GSmart MS820 with many other phones using our Size Visualization Tool. 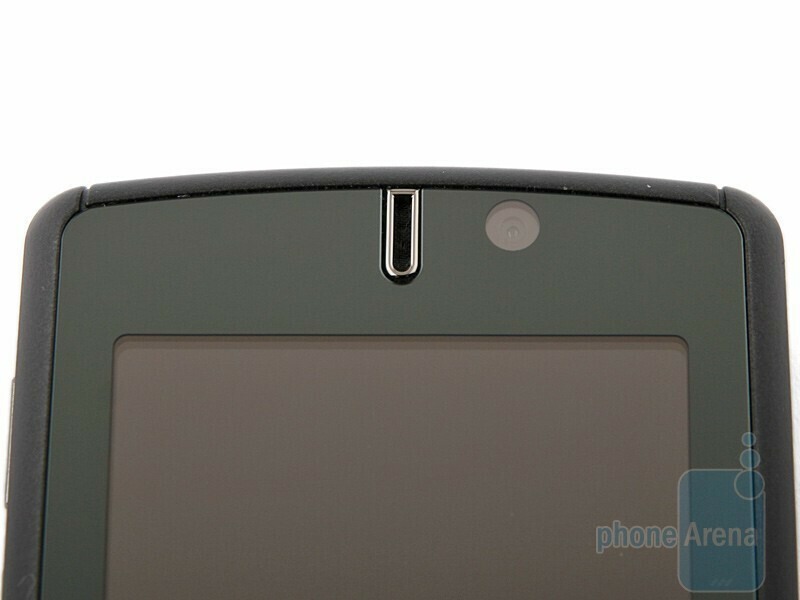 The video call camera is right above the display, while a round D-Pad and both send and end buttons, which are marked “on” and “off” and can be assigned various functions, are right below the screen. 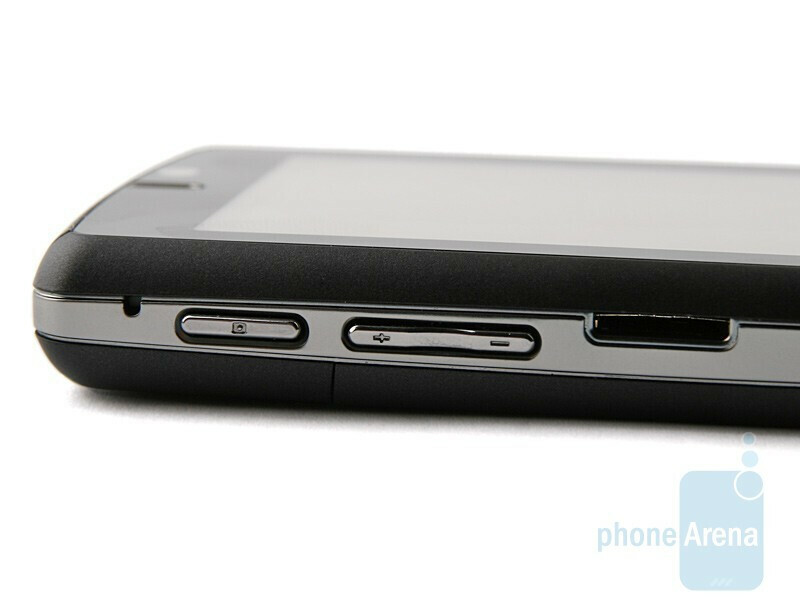 The microSD card slot (surprisingly, a protective flap is missing), volume rocker and camera shutters are on the left hand side of the phone. Both the 2.5mm jack and stylus are on the opposite with the latter being at the bottom. Unimaginatively, the power button is on the top, and the miniUSB port is on the bottom side of the device. We have to say that all buttons could have been a bit more comfy to use, but still, you can live with them. Now that you already know what the most important aspects of the phone, in terms of physical specs, are, only one thing remains to be mentioned. 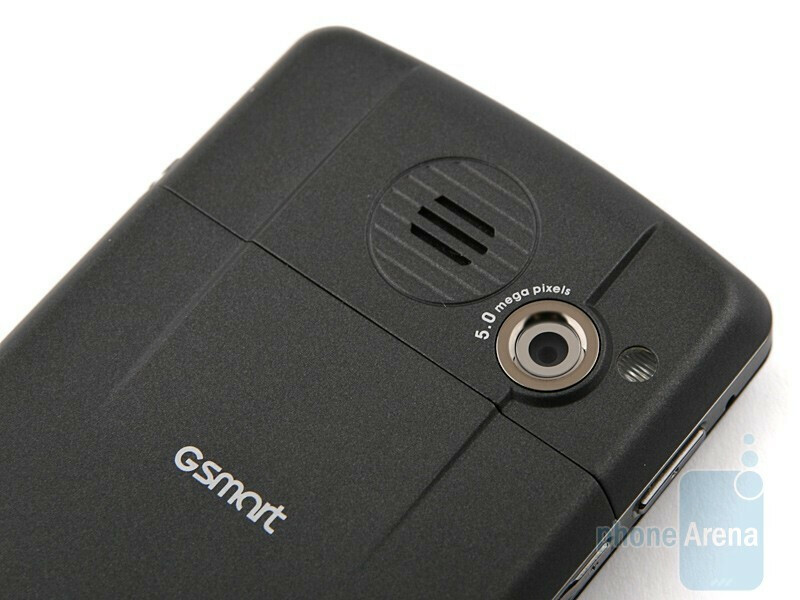 We were pleasantly surprised that there is a 5-megapixel camera with autofocus and flash located on the back of the device. We can get down to brass tacks now and tell you what the software delivers.